I was told 18 months ago I had bipartite tibial sesamoiditis. About 3 months ago, based on an MRI, I was diagnosed with a fracture in my right foot of one of these tibial sesamoid bones. I was in a boot and the physician (in retrospect) was loose in his treatment of me (athlete that wanted to get back out there). I was allowed to hike after 3 weeks to see how it was and it hurt. So did 2.5 more weeks in boot. Again, still painful but interestingly, the ball of the foot wasn't the primary pain spot. Instead, the joint between the metatarsal and the great toe esp on dorsiflexion was painful. 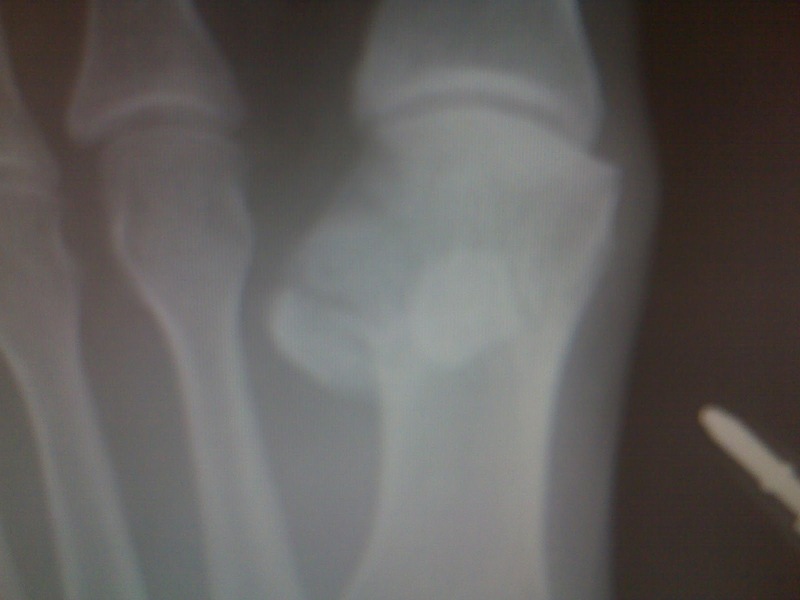 A second opinion diagnosed that a fracture was still present. 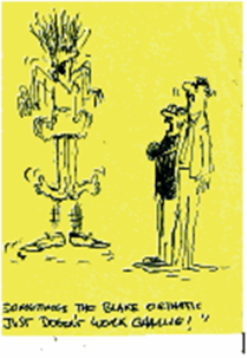 He only did an x ray and didn't seem to think it was just bipartite bone. My question is, how do you differentiate between bipartite bone and ongoing fracture via x ray? I do have the images if you wanted to see them. 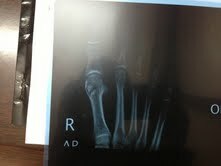 Dr Blake's comment: Here are some xrays of my patients with sesamoid injuries. This is the common plantar axial x ray to evaluate with sesamoid injuries. You are looking at the remodeling of the bone as an indicator of injury (fracture instead of just bipartite). You can see the sesamoid on the right side has more opaqueness to it indicating new bone internal formation. The sesamoid on the left shows a greater distinction between the more density bone on the bottom of the sesamoid, and the darker (less dense) bone on the top of the sesamoid. This is the more normal appearance of a sesamoid. 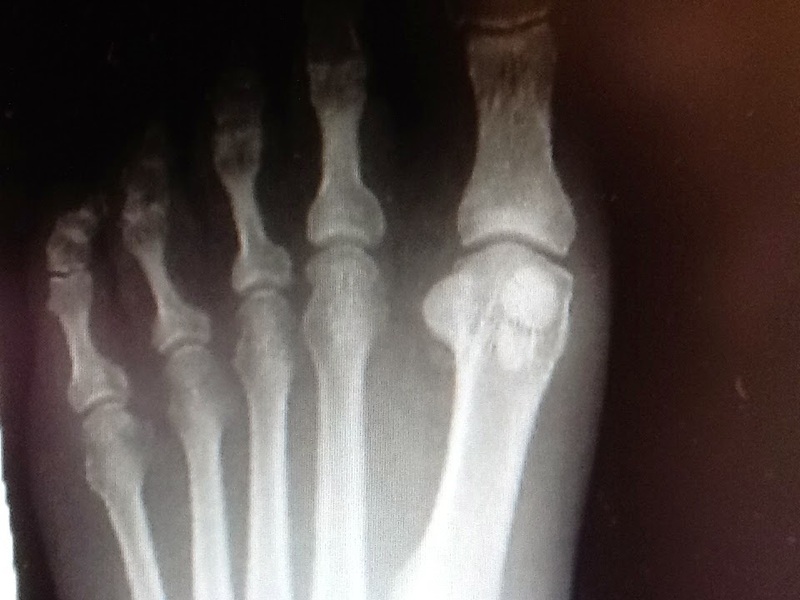 The x ray above shows the typical fracture appearance of a sesamoid. We are looking at the fibular sesamoid, the one closest to the second toe. The separation between the 2 parts is sharp, irregular, not rounded. Here the fracture line of the tibial sesamoid is sharp, distinct, irregular. Here is one I needed an MRI. The 2 bones making up the tibial sesamoid are rounded like bipartite, but the junction is sharp and irregular suggesting some trauma. In this case, a bipartite sesamoid fractured across the junction, only documented by MRI. If you follow sesamoid fractures via xray, you normally have x rays every 2-3 months, and you watch for the gap to lessen or fill. Since the healing is internal, the x rays can be months and months behind the actual healing. And well after the sesamoid has internally healed and is strong, it remains very sensitive still. This always plays mind games with the rehabilitation program.